Through our partnership with ESTEQ Mining, we have developed a full digital twin that represents SiMINE and can be configured to represent any complex system, process or mine. This digital twin allows a low cost and risk approach to conceptualisation of new technologies and approaches and tests the impact as part of the overall system. Executives can test strategic and tactical decision making in a simulated mine. Digital office and workforce of the future. A state of the art facility that showcases all digital technologies relevant to the management of future business. For example, the integration of interactive projectors and video conferencing into management routines, workshops and meetings. Our industry experience and network will showcase latest innovations and technologies from all industries that are relevant to the mining industry. SiMINE @MandelaMiningPrecinct is also available to the industry as a venue for showcase events. 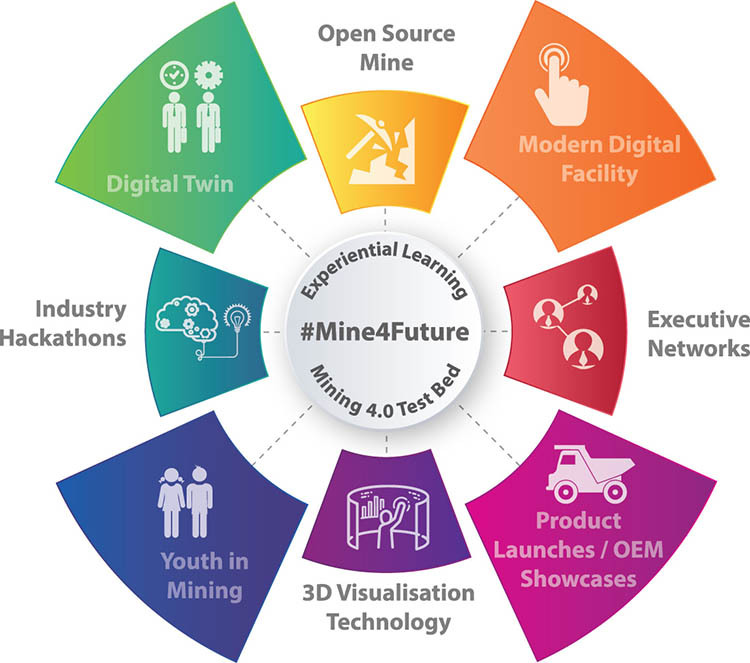 learners to exciting world of mining 4.0 and exposing them to systems thinking. 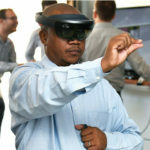 Latest generation visualisation technologies that are relevant to improvement of mining such as augmented, virtual and hybrid reality and interactive digital technologies through our network of collaboration partners. Open Source Mine is a platform for sharing of ideas from all industries that are important to the mine of the future. SiMINE Mining Simulation is a physical mining simulation being used to expose and build Systems Thinking capability in the mining industry and as a test bed for the technologies, capabilities and organisation of the mine of the future.